To find out exactly how Nevada’s child support laws will influence your case, consult with Bonnie Mahan, an experienced family law attorney in Reno. 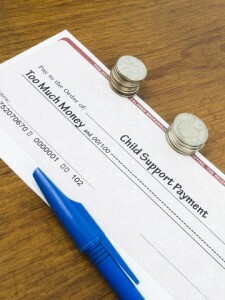 Child support is a common issue in divorce cases. Child support arrangements are typically designed to provide both parents with the necessary funds to properly care for their children. Since every custody arrangement differs, child support can vary widely from case to case. Nevada law requires all divorcing parents to address child support. Child support varies depending on the number of children and the custodial arrangements. In Nevada, child support is influenced by the custodial arrangement, the income of both parents and the number of children involved, among other things. For more detailed information concerning child support laws, it is a good idea to consult with an attorney. To find out exactly how Nevada’s child support laws could influence your case, consult with Bonnie Mahan, an experienced family law attorney in Reno. Not only will she explain how child support is calculated, she will fight to ensure child support is calculated correctly in your case. Need help with your child support issues in Reno, Nevada? Sign up for a free initial consultation today!